Probably the most produced 'Advanced Trainer' in history, used by both the US Air Corps (AT-6) and the Navy (SNJ) and by many other nations as the 'Harvard'. Renowned for her nimble, forgiving handling, it's only natural that this was the aircraft chosen when a double was needed for the Japanese Zero in numerous war movies and TV shows, including 'Ba Ba Black Sheep' and 'Tora Tora Tora!'. This is the ship that thousands of pilots used to master more advanced skills before climbing into a real fighter. Nine films are included featuring the SNJ: Preflight Walk Around * Takeoffs, Approaches & Landings * Small Fields * Cross Winds * Emergencies * Wingovers & Chandelles * Wingover Rolls * Barrel Rolls * Formation Flying. 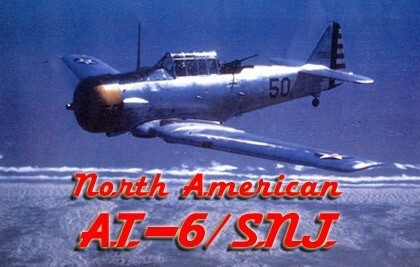 A 44-page AT6/SNJ/Harvard pilot's manual is included on the DVD. It is in .pdf file format with photos, detailed systems diagrams, performance charts, flight procedures & more. The manual can be accessed on a computer equipped with a DVD drive. Run time is about 120 minutes in B+W.